Originally from Louisville, KY, Kyle moved to Tallahassee, FL in 2018 with his wife and three year old son, as his wife is pursuing her PhD at Florida State. 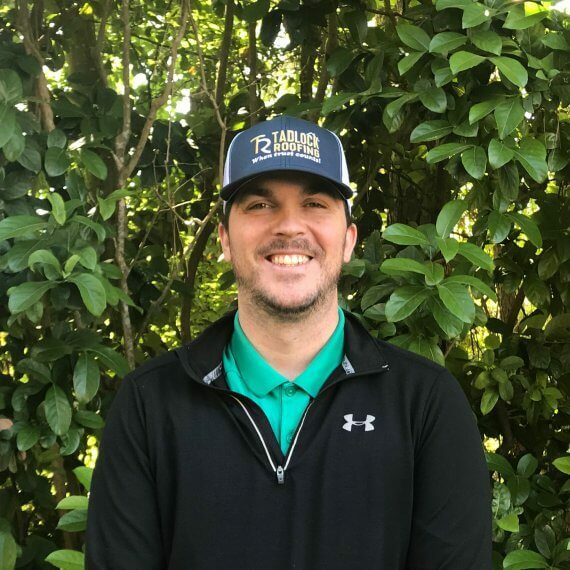 Kyle has many years of experience in the car business and business to business sales, but was ready to bring his sales expertise to Tadlock Roofing. Kyle likes talking with customers, getting to know them, and strives to deliver the best customer service. Kyle enjoys playing baseball, coaching his sons t-ball league and giving private baseball lessons, as well as, exploring the outdoors, hiking and camping.